North Vancouver. 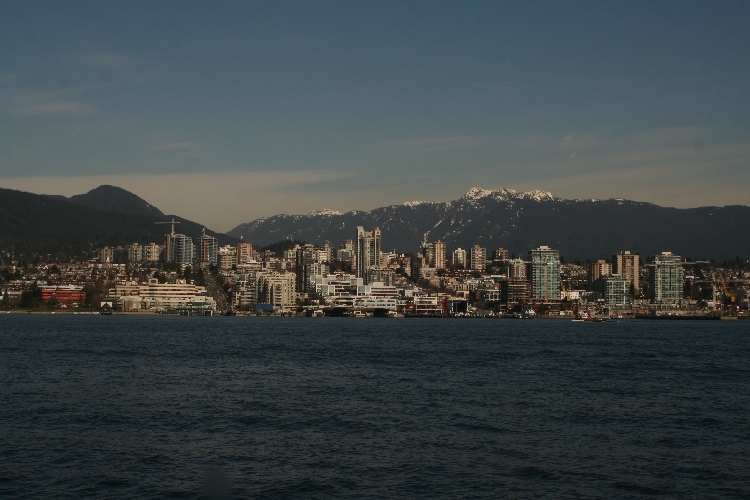 From the Seabus. 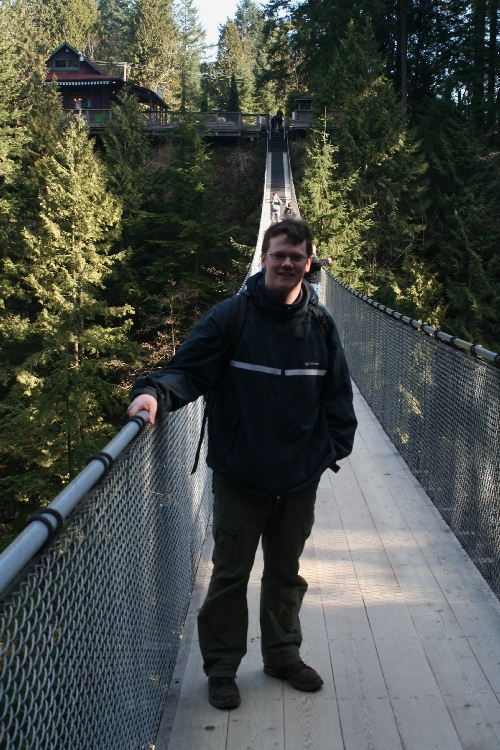 Capilano River from the Capilano Suspension Bridge. 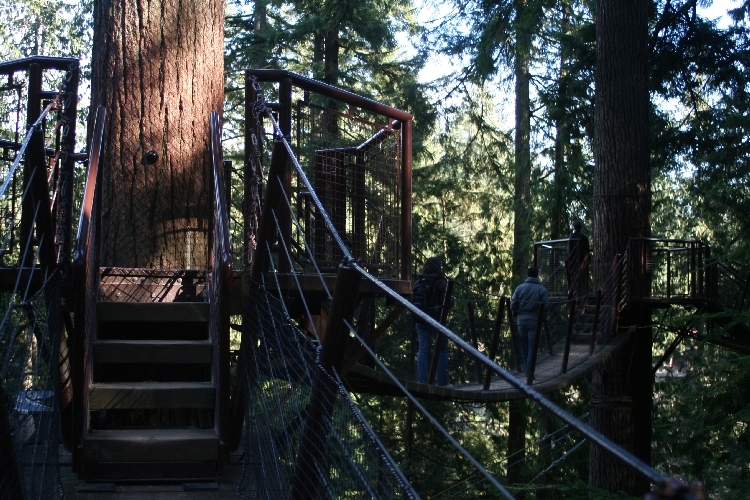 Treetops Adventure. 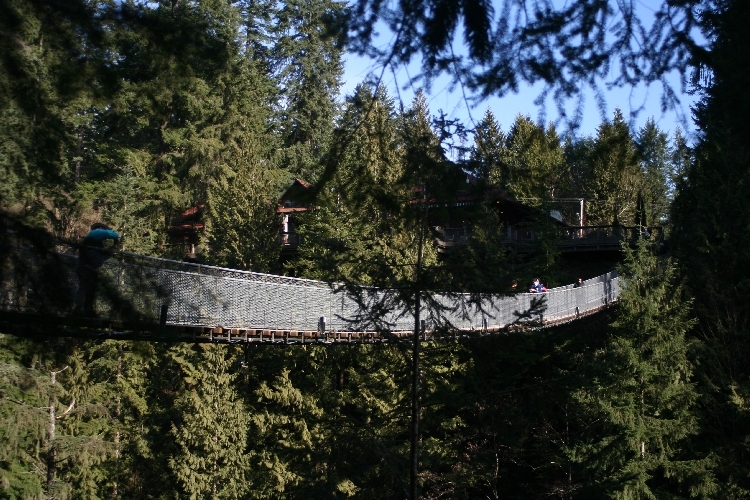 Bridges between trees. 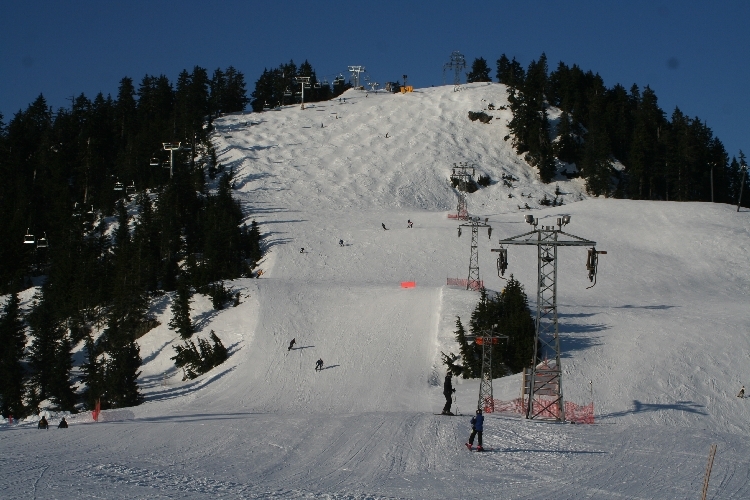 Ski slope on Grouse Mountain. On the 25th I skied down myself. View to the east. 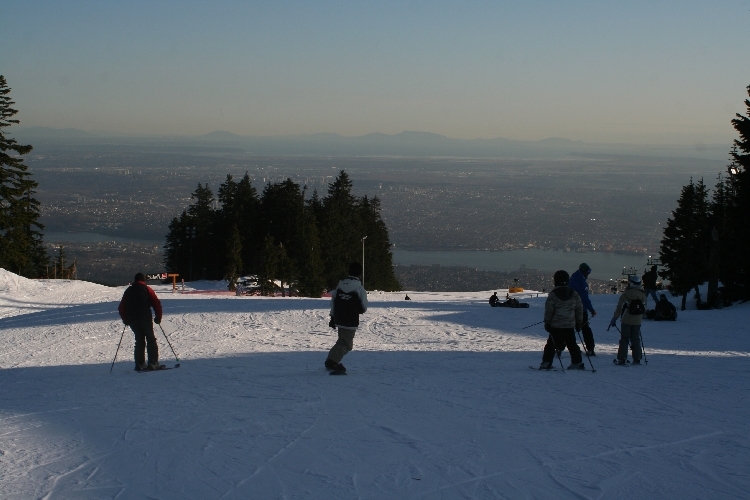 From Grouse Mountain. 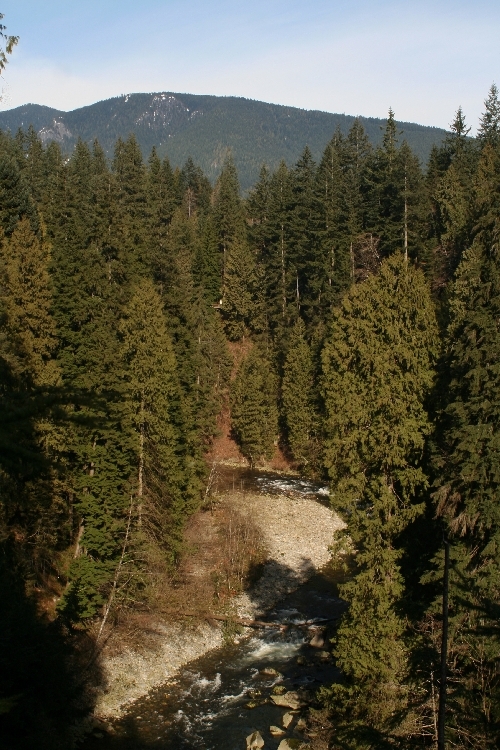 Burnaby Mountain, on which the Simon Fraser University is located. The high mountains in the background are already in the USA. 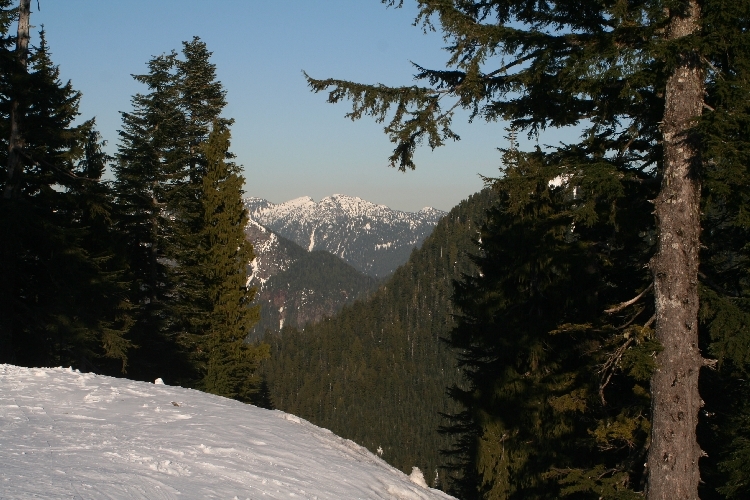 Mount Baker. 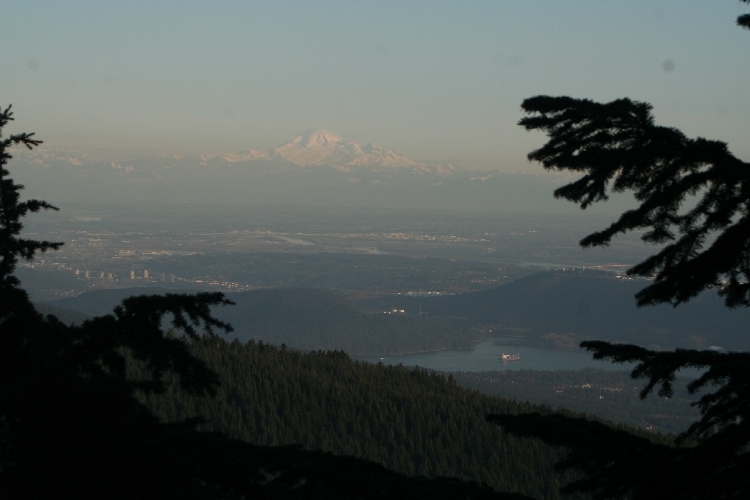 From Grouse Mountain. When I went skiing 19 days later the visibility was much better, but unfortunately I did not bring my camera. It was a wonderful day, and from the slope I saw the whole peninsula.